The Today show’s weatherman speaks to Sarah Weinman about realizing his dream to write a mystery novel and why the man with the famous smile is interested in the darker side of things. Al Roker is a marvel of time management. He has to be, to keep up the rising-before-dawn regimen he’s maintained for more years than he can possibly count, the last 13 as the Today show’s weatherman and feature reporter. Since July, he’s had to roll back the wakeup call even earlier to co-host Wake Up with Al on The Weather Channel, starting at 6 a.m. Once his smiling face signs off NBC and its many affiliates by 10, there’s another few hours to put in at the office of his eponymous production company, responsible for a range of programming, from edible delicacies to murder and meth addiction. And that’s not factoring in last-minute travel plans, speaking engagements, or hosting gigs, like the two years he emceed the Mystery Writers of America’s Edgar Awards. It should surprise few people that the novel’s protagonist, Billy Blessing, could stand in for Roker—the main difference: Blessing’s a chef, not a weatherman, a case of “wish fulfillment” for Roker, who has published two cookbooks and has produced specials for the Food Network. When he’s not interviewing the curator for an exhibition on dead superheroes for Wake Up, America! Blessing owns a pricey Midtown bistro where his co-workers often dine. The restaurant becomes a crime scene after the network’s head man ingests a fatal dose of poisoned veal, putting Blessing in a hot seat that only sleuthing out the real killer can help him escape. 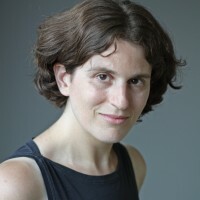 Sarah Weinman contributes to the Los Angeles Times, the Baltimore Sun, the New York Post and many other print and online publications, and blogs about books and the publishing industry at Confessions of an Idiosyncratic Mind.